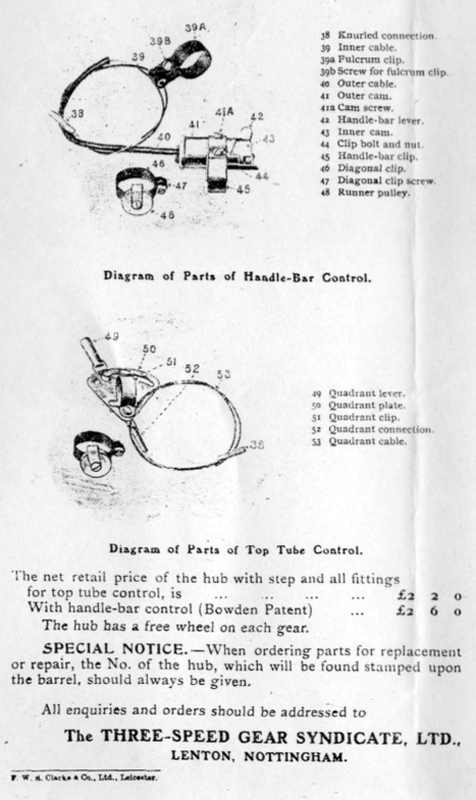 The free-wheel, often referred to at the time as free pedals, became popular in the cycle trade in 1898, and soon almost every manufacturer was offering at least one model so fitted. But earlier, on 20th September 1894, patent 17,908 was granted to Messrs Linley, Biggs and Archer for an expanding-chainwheel four-speed gear, which was first marketed in 1895 on a New Whippet bicycle. Gear-changing involved back-pedalling so it was necessary to provide a free-wheel. The first model had plain bearings but balls were soon added. The Whippet Cycle Syndicate was registered on 8th September 1896 to take over the firm of Linley Biggs and to market the new gear. Linley, who is usually credited with most if not all of the firm’s inventions, used to disclaim all credit for the free-wheel. He pointed out also that before cyclists could safely dispense with back-pedalling as a means of stopping their machines they had to have really effective brakes; the 1895 Whippet had the first of its kind, applied to the rim and worked by the heel of the left foot. It took the rest of the trade about three years to realize that Linley was on the right lines and to copy him. 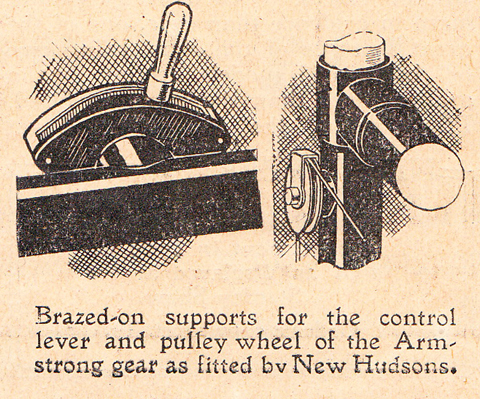 As Archibald Sharp (author of ‘Bicycles and Tricycles) said: “Free pedals form one of the features of the 1898 shows. The pioneer of this revival must be the Protean gear of the Whippet Cycle Co.” By 1899 there were dozens of free-wheels, most of the large makers producing their own versions. 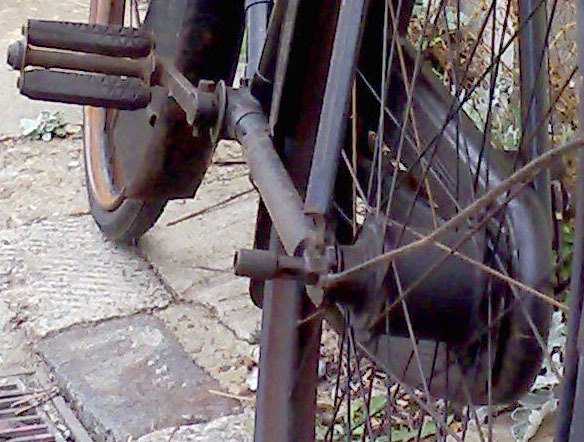 A useful aid to calculating the age of a bicycle might be its rear hub. 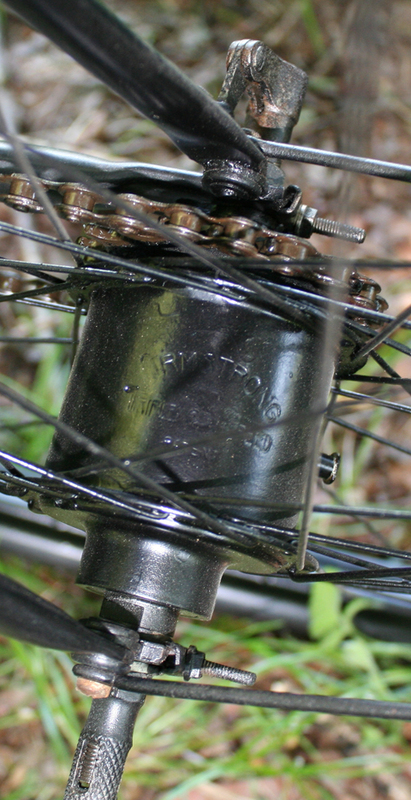 Though geared hubs were sometimes added to a bicycle subsequently to improve it, freewheel hubs are invariably original. This page is a photographic database of early hubs and gears up to the 1920s. It will invariably take me a while to complete, so please bear with me. You’ll probably need to check the page every now and then to see what else I’ve managed to find and photograph. Sturmey Archer geared hubs are easy to date, so I’ve started with them. I’ve followed with Villiers, BSA Eadie, Armstrong, Dursley Pedersen, and manufacturers whose hubs were different, such as Rudge Whitworth. I’ll add various others, including French and German examples. American New Departure hubs are illustrated on the following page. I’m still learning about this subject and, as with the rest of this museum website, I share it with you as I discover more about our fascinating hobby. The most informative book on this subject is without a doubt THE STURMEY ARCHER STORY by Tony Hadland. His introduction to the subject is concise and easy to understand, so rather than summarizing it, I’ve reproduced a few pages below as a taster. If this subject interests you, I heartily recommend that you purchase the book yourself. I’m not sure which Tricoaster is fitted to the 1901 Lea Francis. It’s probably the ‘N’ which was current from 1910 to 1921. 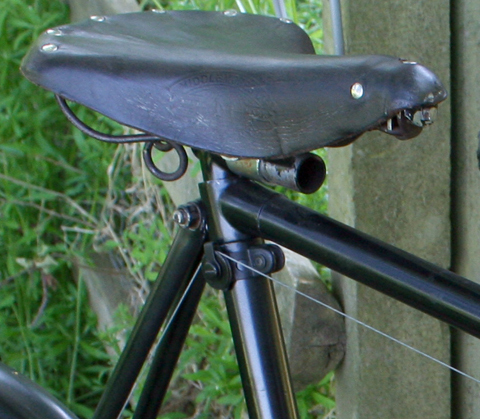 But Sturmey Archer introduced their model ‘C’ in 1907. I’ll have a closer look at the hub (and take better photos) next time I take the Lea Francis out of its shed. John Marston’s Sunbeam bicycles had an excellent reputation, which meant that he needed top quality components. The pedals he was using in 1898 were not good enough, so he sent his son Charles to America to find a better supplier. Charles brought home patterns of new pedals from Pratt & Whitney of Connecticut, and they ordered the equipment to make them. When the machinery arrived it was found to be too big for the factory, so John bought Edward Bullivant’s engineering firm at 5 Villiers Street, moved the machinery in and Charles was put in charge of the firm. They named it the Villiers Cycle Components Co.
Their production soon exceeded Sunbeam’s requirements, so they asked Frank H. Farrer, manager of the Coventry branch of Palmer Tyre Co to sell Villiers pedals for them. As a result, he started his own wholesale business supplying cycle parts to the trade. At the time Villiers made the best pedals and soon most of the cycle makers were using them. In 1902 Farrer sold his business and came to work for Villiers, who now had a workforce of 30. In the same year the Villiers freewheel was developed and Villiers decided to produce their own lightweight version. Around this time John Marston sold Villiers to his son Charles for £6,000, the value of the company’s machinery. 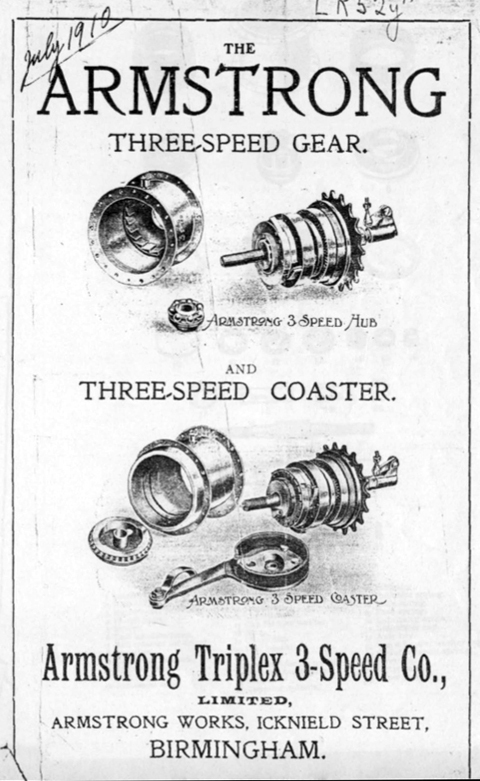 The new freewheels were so successful that pedal production ceased and Villiers concentrated on freewheel production alone. 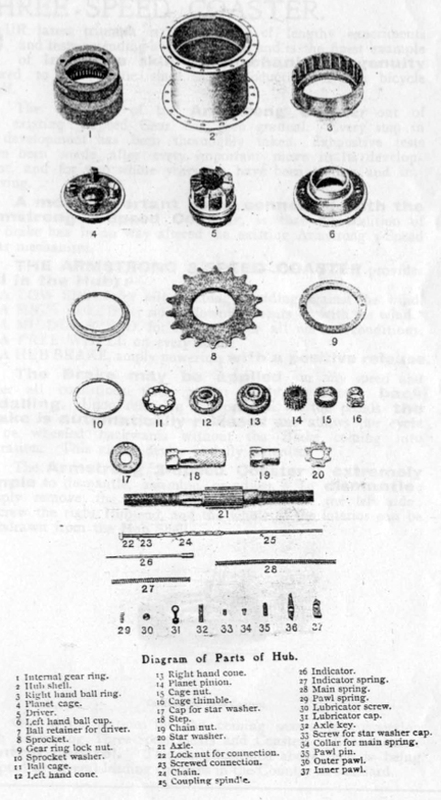 By 1907 BSA were desperate to produce a three-speed hub gear. They had merged with Eadie, makers of the Fagan two-speed and a two-speed coaster brake, early in 1907. 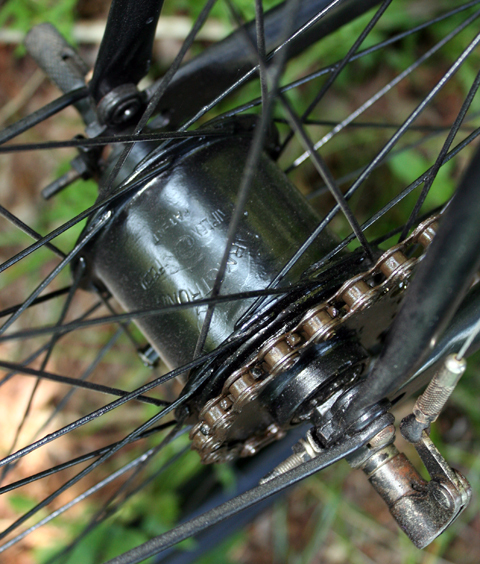 Towards the end of that year they acquired the rights of the Hub Two-Speed Gear Company. BSA therefore had the rights to produce no less than three two-speed hubs: the Fagan (Eadie), the Hub and their own Mark II hub. 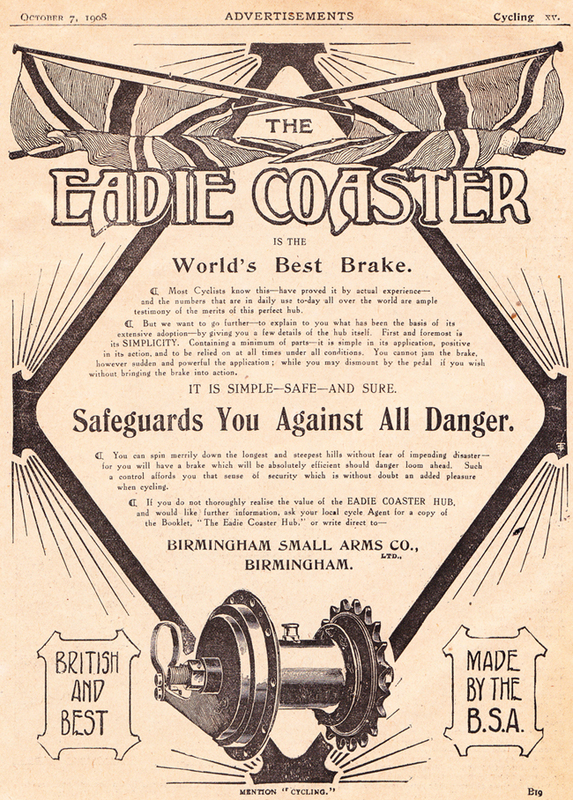 In addition, they had the rights to the Eadie Two-Speed coaster. 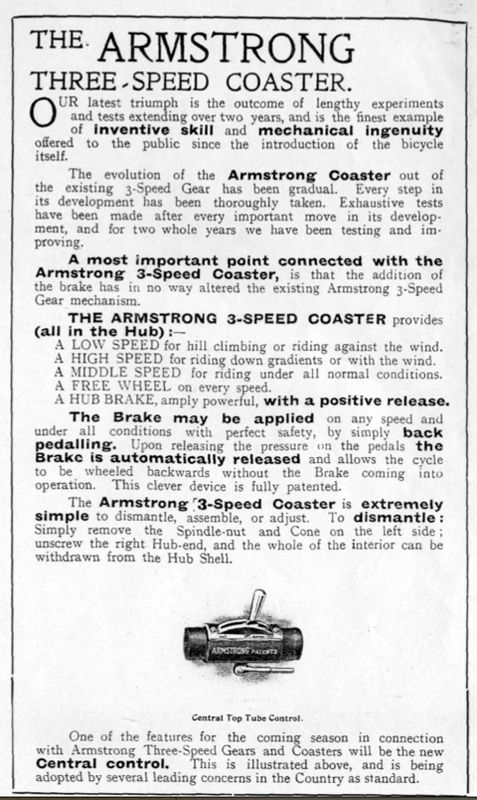 But demand for two-speeds was now much reduced, whereas the market for three-speeds was almost insatiable. 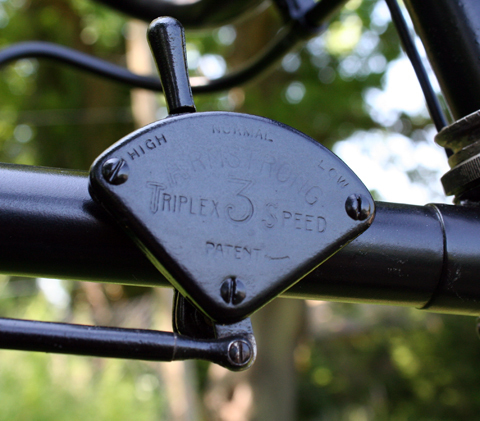 The Hub Company had patented a three-speed in 1903 (#22,306) but nothing commercial seems to have come of it. 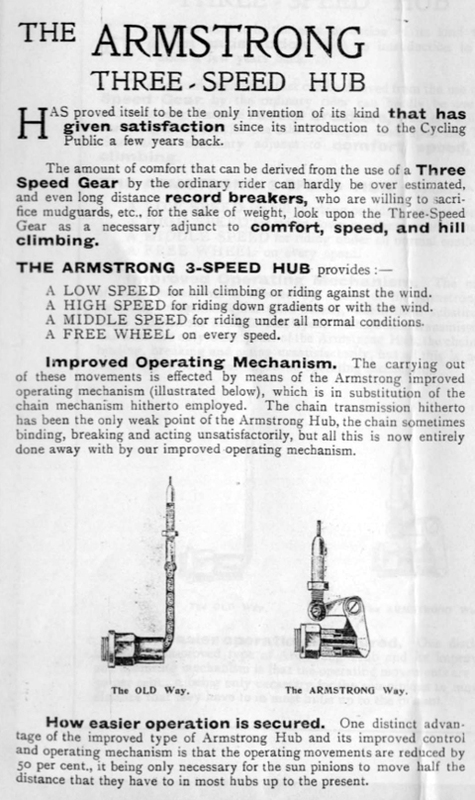 BSA therefore approached the Three-Speed Gear Syndicate requesting permission to build the Sturmey-Archer three-speed under license. According to Henry Sturmey, writing in 1924, the Syndicate were unable to cope with demand in 1907 and therefore granted a license to BSA. 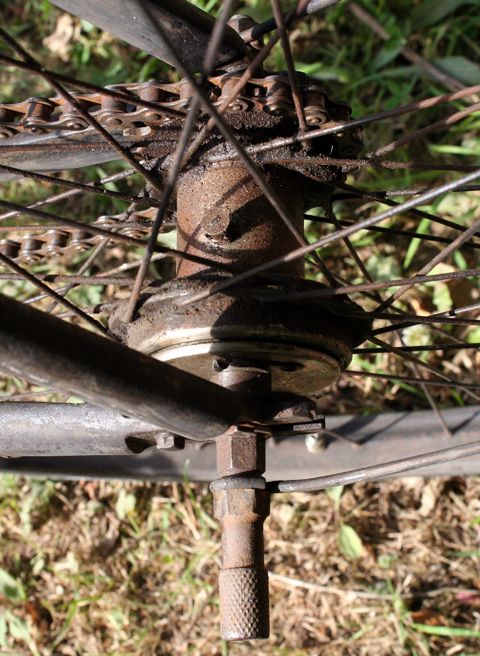 The Fagan two-speed hub had been introduced at the 1903 Stanley Show for the 1904 season, and fitted as standard on the Royal Enfield Modele Riche, while a coaster brake was fitted to the ‘Royal Enfield’ and ‘Model B.’ BSA at this time only sold components, not complete bicycles, but their order books were full, and their bikes in knock-down form were in much demand from abroad, particularly Australia. Motorcycle builders favoured BSA bicycles, in particular their spring-frame models. BSA were about to expand their business: with the success of the motorcycle market, by 1910 they had also re-commenced full-scale cycle production. 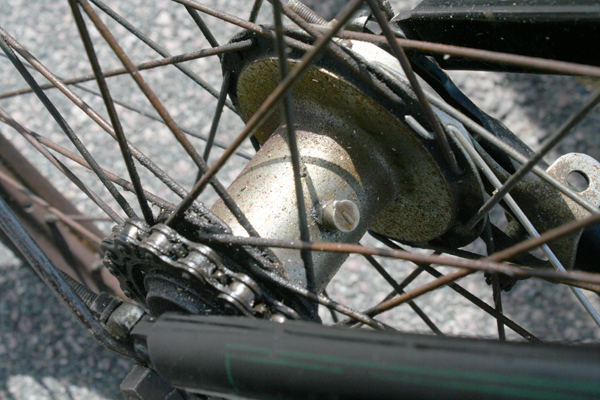 This was why it was essential for them to be able to fully control the supply of three-speed hubs.